Joshua Waller reviews the new 36 megapixel Sony Alpha 7R full-frame mirrorless camera. 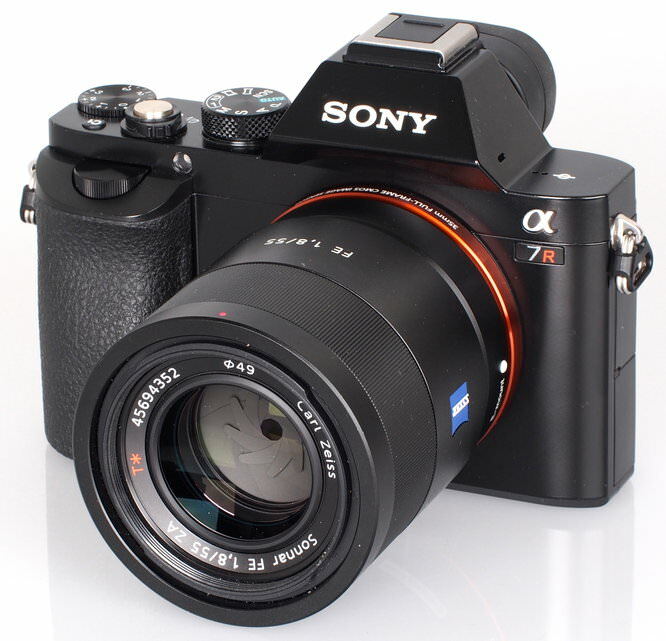 The Sony Alpha A7R offers a 36 megapixel full-frame sensor, in a compact mirrorless weather-sealed body. The camera has a Sony E lens-mount and will accept both Sony NEX E-mount lenses, and full-frame Sony FE-mount lenses. 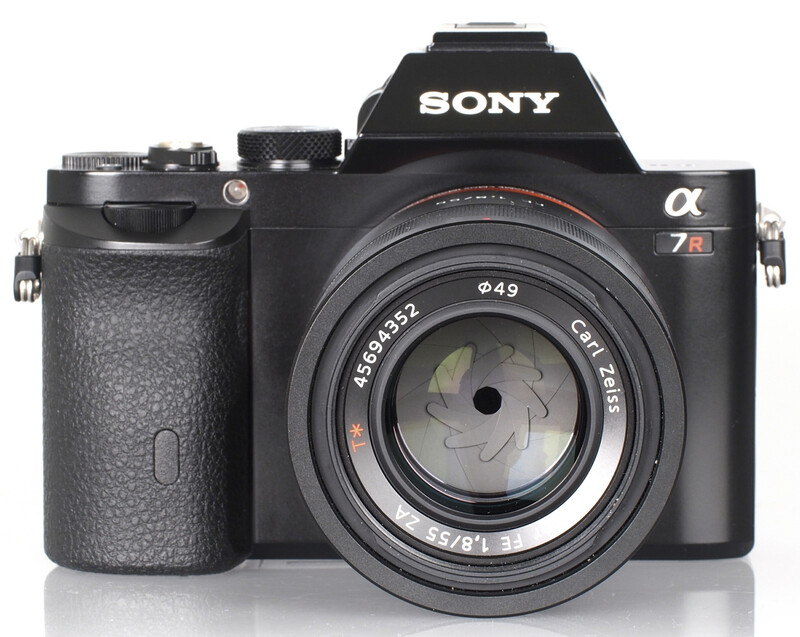 The Sony Alpha A7R is available for around £1700 body only. 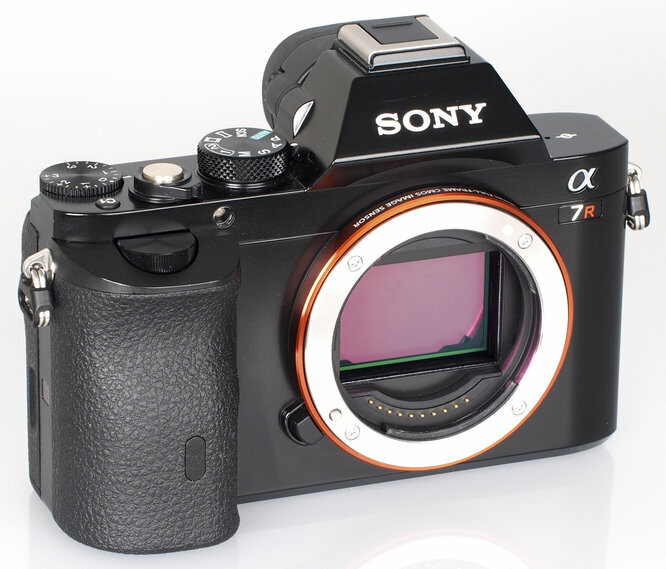 The introduction of the Sony Alpha A7 and A7R sees Sony introducing the World's first full-frame mirrorless cameras (excluding digital rangefinders), and with the A7R, they are also claiming the World's smallest and lightest full frame mirrorless camera, with a weight of just 407g body only. Using the same Sony E-Mount as Sony NEX mirrorless cameras, it's impressive that they've been able to make such a large full-frame sensor fit into the same lens mount, and you can see in photos that show the sensor how tight a fit it is. This will also have an impact on how you use Sony E-Mount lenses with the camera, with the current Sony E-Mount lenses operating differently depending on each lens. The camera gives the option to use the lens in crop mode, or alternatively use the full frame, but with strong vignetting. A new range of Sony FE - Full-frame E-Mount lenses has been announced to take advantage of the new cameras, which are signified by "FE" in the name, including a number of lenses developed with Carl Zeiss for optimum image quality. The Sony Alpha 7R features a 36.4 megapixel full frame CMOS sensor, without the optical low-pass filter (or anti-aliasing filter), to enable the sharpest possible image quality. The camera uses contrast-detection AF, with 25 AF points. When using Sony E-Mount lenses in crop mode you end up with a 15 megapixel image, which feels a bit like a waste of a 36.4 megapixel sensor, and for the best results you will need to invest in full-frame lenses, or alternatively use a full-frame lens with an adapter. 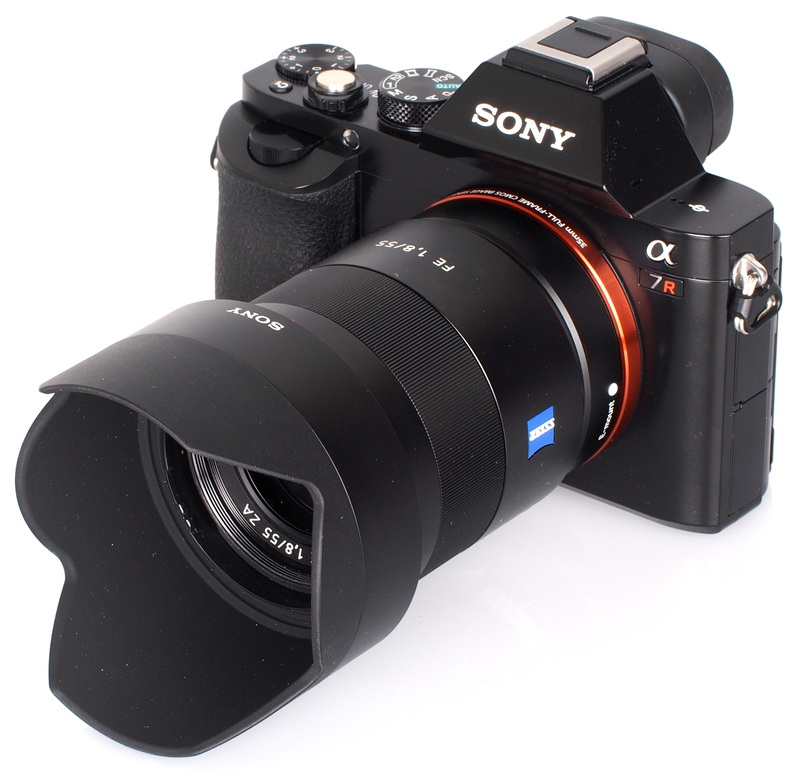 Sony sell a number of adapters that allow the use of Sony Alpha lenses. The camera features a tough magnesium-alloy body that is weather sealed, and gives side access to the memory card slot, supporting the use of either Sony Memory Stick or SD/SDHC/SDXC memory cards. The camera records Full HD video with stereo sound, at 60p/50p/25p, and there is also clean HDMI out for recording to an external device, or for monitoring on an external screen. The camera has built in stereo microphones, but also sports microphone and headphone sockets on the side for anyone who wants to use an off-camera microphone, or monitor audio through headphones. NFC (Near Field Communication) and Wi-Fi is built in for remote operation, and image transfer when connected to a compatible smartphone, and the camera uses the Sony PlayMemories Mobile app which is compatible with Android and iOS devices. The rest of the camera is much more subtle in its design with a black metal body, and SLR styling, with the top viewfinder area and rear of the camera closely resembling the Olympus OM-D E-M5. The design of the camera seemed to generate mixed reaction, with some welcoming the industrial retro styling, whereas others are much less keen on the angular design. Viewfinder quality is excellent, with a very clear and crisp display, which includes a dual axis electronic level, and the EVF has a good sized rubber surround to help viewing outdoors which will be of benefit to anyone who wears glasses. Thankfully, the camera features a menu system much more similar to Sony Alpha cameras, rather than Sony NEX cameras, which means we may (finally) see the end of the Sony NEX menu system, which we were never a big fan of. A switch on the back will let you change the operation of the AF/MF button to an AEL button. With the announcement of the Sony Alpha 7 and Sony Alpha 7R, Sony says that there will be no further Sony NEX cameras, and instead aim to merge the Sony NEX and Sony Alpha range into one Sony Alpha range. To enable this, Sony say that the Sony E-Mount cameras can accept both Sony E-Mount lenses, as well as Sony A-Mount lenses with an adapter, so that you have the choice of choosing your ideal lens from the whole range of Sony lenses. There a wide range of third party lens mount adapters available to enable the use of classic (and modern) lenses from other manufacturers, including lenses from Leica, Nikon, Canon and others. The Sony website says that continuous shooting shoots at 1.5fps or 4fps, we switched on speed priority continuous shooting and the camera shot at 4fps for 16 shots before slowing down when shooting JPEG or 16 shots when shooting raw, using a Sandisk Extreme 80MB/s UHS:I SDHC card. Focus speeds tested with the Carl Zeiss 55mm f/1.8 lens. Sample Photos - Exposure is reliable, with the camera producing excellent colour and detail. The saturation, sharpness, and contrast can be customised so that you can setup the camera as desired, however the camera delivers pleasing results on default settings. Lens Performance - Detail is very good from the 55mm f/1.8 Zeiss lens, with good detail across the frame. The lens is also very resistant to flare and is provided with a deep hood. When using the 55mm lens distortion correction is switched on by default, and can't be switched off (vignetting and CA correction can be switched on/off), however it's possible to view the level of distortion in the original raw images, of which there is very little. The closest focus distance of the 55mm lens is 50cm, which means this lens isn't very good for macro work. 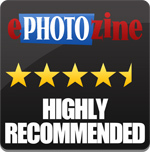 With thanks to HarrisonCameras for providing the Sony FE 28-70mm lens for this review. ISO Noise Performance - The ISO Range goes from ISO50 to ISO25600. The Sony Alpha 7R gives impressive noise performance, with usable images right up to and including ISO12800, although with a slight loss in colour saturation at this setting and above. Detail starts to drop off at ISO6400 and ISO12800 on default settings, and reducing the noise reduction setting helps show additional detail, as shown below. Noise reduction options shown at ISO12800, showing Off, Low and Normal. As can be seen above, noise reduction is rather strong on the "Normal" (Default) setting, and to retain the maximum levels of detail in images, setting Noise Reduction to Low is recommended. White Balance Performance - Auto White Balance (AWB) performs well under tungsten lighting, with the tungsten preset giving very similar results. Similarly AWB performs well under fluorescent lighting, and the fluorescent presets give different colour casts, and we have shown the best result here. There are a number of ways to improve dynamic range in harsh lighting conditions, and when in intelligent Auto or Superior Auto+ the camera will automatically use the backlight scene mode if it decides it's necessary. In program mode you can switch DRO (Dynamic Range Optimisation) or HDR (High Dynamic Range) on, with these featuring Auto or manual settings. Here we've used the auto DRO setting which has produced very good results, without looking too artificial. With the HDR mode set to 6EV the results are quite unnatural, however leaving this on auto gives good results, combining a number of shots taken at different exposures. Panorama mode - The camera features a panoramic sweep mode where you simply press the shutter button and pan the camera in the direction you want to take the photo. Results are good, with good detail and a fairly high resolution result. Built in lens correction options are shown above, with the first option showing corrections switched off, the next is with shading / vignetting correction switched on, the next shows chromatic aberration switched on as well. With the 55mm lens, distortion correction is on by default. The Sony Alpha A7R is available for around £1699 body only, which is very good value for money for a full-frame digital camera with a 36 megapixel sensor. The only other full-frame Digital SLR to match this is the Nikon D800, which is available for £2049 body only, or the Nikon D800E (without AA filter) priced at £2349 body only. The Sony Alpha A7R is a feature packed camera, with a high resolution 36 megapixel full-frame sensor, full HD video, built in Wi-Fi and NFC, and a high resolution electronic viewfinder as well as a tilting screen, all packed into a compact metal weather sealed body. Focus and shutter response are slower than the Sony Alpha 7, which means the A7R is not ideal for kids or moving subjects. Image quality is very good, and can be excellent, however it is important to use high quality lenses and good technique in order to get the best out of the camera. Whether used with Sony lenses or using an adapter, the camera is setup for accurate and easy manual focus thanks to focus peaking and other display options, as well as a clear and high resolution electronic viewfinder. A number of photos taken at 1/100s or 1/125s with the 55mm f/1.8 FE lens were blurry, which may be caused by the shutter mechanism, and the lack of image stabilisation does not help. Shots taken on a tripod did not suffer from this problem, and if care was taken it was possible to get sharp shots handheld at this shutter speed. For those that don't need the extra resolution, the Sony Alpha 7, with a 24 megapixel sensor makes an excellent choice. The Sony Alpha A7R is capable of excellent results, with a high resolution 36 megapixel sensor, without the AA filter. 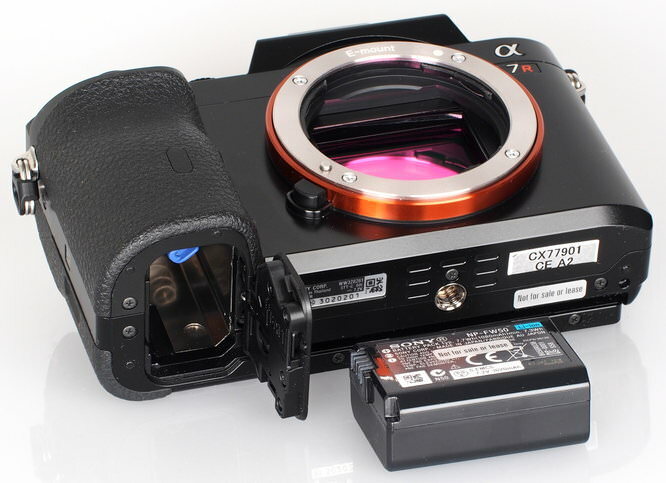 It is also one of the smallest and lightest full-frame digital cameras available undercutting the competition noticeably. While currently there are a limited number of full-frame Sony FE mount lenses available, as the range grows the system should become much more compelling. The Sony Alpha A7R is capable of delivering excellent images and is competitively priced. It's a fascinating departure from Sony's previous design philosophy, harking back to some early manual-focus Nikons & Minoltas of the film era. 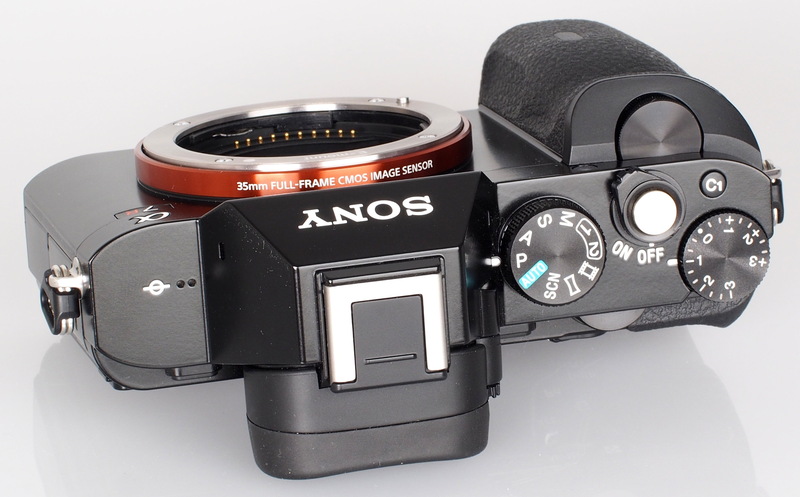 I really like the design, there's something rather satisfying when you hold a traditional style SLR. I only wish Olympus and Sony would offer their new top of the range ones with the silver black option for the complete retro look. Or perhaps that's just me! It looks a great performa. I'm not that keen on this particular retro look to be honest. Good though OLED screens are, would much prefer a pentaprism. Also, by the time these huge lenses have been added, the camera looks as bulky as a DSLR anyway, so might it not as well be a DSLR? Beautiful camera and with the aggressive pricing a game changer. I think whether we like it or not these tools are the future. Under £1,500 for a FF high quality cam with the SEL-2870 lens. Btw a top of the line APS-C DSLR such as the Pentax K3 with a somewhat comparable Sigma 17-50mm f2.8 costs roughly the same. However: Pentax K3 + Sigma 17-50 f2.8 weights: ~1.3kg Sony A7r + SEL 28-70 f4 weights: 0.9 kg I prefer a pentaprism too, but give it a couple of iterations to iron the few niggles (which with the rate of new models coming up shouldn't be long anyway), expand the lens lineup etc this looks like a very interesting system. Beautiful camera and with the aggressive pricing a game changer. I think whether we like it or not these tools are the future. Under £1,500 for a FF high quality cam with the SEL-2870 lens. Btw a top of the line APS-C DSLR such as the Pentax K3 with a somewhat comparable Sigma 17-50mm f2.8 costs roughly the same. I prefer a pentaprism too, but give it a couple of iterations to iron the few niggles (which with the rate of new models coming up shouldn't be long anyway), expand the lens lineup etc this looks like a very interesting system. [quote]... Under £1,500 for a FF high quality cam with the SEL-2870 lens. ...[/quote] That offer is for the A7 not the A7R, with different specifications (most noticeably 24Mpixel resolution). Don't forget you have to buy a battery charger as well unless you're only going to give it light use - would it really have cost Sony too much to add one in at that price - the component cost to munfacture can't be more than £5 ? That offer is for the A7 not the A7R, with different specifications (most noticeably 24Mpixel resolution). Don't forget you have to buy a battery charger as well unless you're only going to give it light use - would it really have cost Sony too much to add one in at that price - the component cost to munfacture can't be more than £5 ? I can see that this is changing the game, by (effectively) creating a new market. I'm jsut not sure where it leaves more traditional users, who have invested in Alpha gear in the past. I, for one, would only consider this with a permanently-fitted adaptor so that I can use my legacy Minolta glass - wide aperture, fixed focal length stuff. I am simply not able (or prepared) to start from scratch - that would make this a VERY expensive camera. I'm unsure about the viewfinder, the low-capacity battery, and the lack of heft: an Alpha 900 behind an 85/1.4 feels just right, and I suspect this would feel a bit silly! Still, therefore, waiting for the Alpha 9000 (bassically, I want this sensor in a 900 body) - though I suspect that this will be an awful long time coming - so it's a good thing that the 900 actually does pretty much all I can ask of a digital camera! I can see that this is changing the game, by (effectively) creating a new market. I'm jsut not sure where it leaves more traditional users, who have invested in Alpha gear in the past. I, for one, would only consider this with a permanently-fitted adaptor so that I can use my legacy Minolta glass - wide aperture, fixed focal length stuff. I am simply not able (or prepared) to start from scratch - that would make this a VERY expensive camera. I'm unsure about the viewfinder, the low-capacity battery, and the lack of heft: an Alpha 900 behind an 85/1.4 feels just right, and I suspect this would feel a bit silly! Still, therefore, waiting for the Alpha 9000 (bassically, I want this sensor in a 900 body) - though I suspect that this will be an awful long time coming - so it's a good thing that the 900 actually does pretty much all I can ask of a digital camera! Such a shame not to have Image-Stabilisation ((a provision in most camera of similar range of quality & cost), & an outstanding 18-200 full frame FE zoom lens to match the 7R. Would have wipe out all its competitors: come on Sony! I have a 5DII, which only comes out for weddings now. Just too bulky and heavy for day to day use. I started using the NEX-7 for everything else, and a second camera at weddings, then bought the 7 last month. Most annoying thing is that it locks when writing to the card, so you can't change any setting. should be fixable with a software update. Also 28mm is now quite wide enough for my liking, but the lens is pretty good. All in all, not as crisp as shots on my 5D with 24-105 lens, but who actually notices? I've sold many wedding and stock photos taken with the NEX, and used it for my workshops, as the 5D's live view is pretty poor (and holding the camera at arms length while demonstrating stuff needs bigger arms than I have!). I took 18000 photo on the NEX in 12 months, so this will get similar usage. LCD viewfinder isn't everyone's cup of tea, and not great in low light, but it does have the advantage that you can stop it down and check for dust before shooting. That and a much lighter camera! Still, no charger? Really!? I have a 5DII, which only comes out for weddings now. Just too bulky and heavy for day to day use. I started using the NEX-7 for everything else, and a second camera at weddings, then bought the 7 last month. Most annoying thing is that it locks when writing to the card, so you can't change any setting. should be fixable with a software update. Also 28mm is now quite wide enough for my liking, but the lens is pretty good. All in all, not as crisp as shots on my 5D with 24-105 lens, but who actually notices? I've sold many wedding and stock photos taken with the NEX, and used it for my workshops, as the 5D's live view is pretty poor (and holding the camera at arms length while demonstrating stuff needs bigger arms than I have!). I took 18000 photo on the NEX in 12 months, so this will get similar usage. LCD viewfinder isn't everyone's cup of tea, and not great in low light, but it does have the advantage that you can stop it down and check for dust before shooting. That and a much lighter camera! Keeps the cost down though. I mostly use Canon lenses with IS anyway, any most of my work is fairly wide angle, where it's of negligible use. The wifi's pretty good; I thought it was for just downloading aps, like Samsungs, but it has a wifi transmitter, so you can connect a smart phone directly to is, download, and (more usefully), remotely control the camera. Keeps the cost down though. I mostly use Canon lenses with IS anyway, any most of my work is fairly wide angle, where it's of negligible use. The wifi's pretty good; I thought it was for just downloading aps, like Samsungs, but it has a wifi transmitter, so you can connect a smart phone directly to is, download, and (more usefully), remotely control the camera. i struggle to understand who needs quality and files of this size. Even on my m43 cameras, with the monitors I use and not making prints over 12 inches across, I am discarding pixels, not needing more. my editorial work has no need for files this size. Also, the main advantages of mirrorless cameras are lost on FF. The lenses will be just as big as FF and just as heavy. Body size is not really a factor with Mirrorless, it's the lenses that make it attractive when used with smaller senses that have good enough quality. The camera won't be attractive to professionals - where are the tilt lenses, the 400mm f2.8, the DSLR fast focus for sport? But a nice indulgence for gear freaks and why not? i struggle to understand who needs quality and files of this size. Even on my m43 cameras, with the monitors I use and not making prints over 12 inches across, I am discarding pixels, not needing more. my editorial work has no need for files this size. Also, the main advantages of mirrorless cameras are lost on FF. The lenses will be just as big as FF and just as heavy. Body size is not really a factor with Mirrorless, it's the lenses that make it attractive when used with smaller senses that have good enough quality. The camera won't be attractive to professionals - where are the tilt lenses, the 400mm f2.8, the DSLR fast focus for sport? But a nice indulgence for gear freaks and why not? It would appeal to me if I thought Sony would take firmware updates seriously. My Nex 7 produces great images, but it needs a few firmware fixes. Bringing out new models seems to be Sony's way of fixing things - pity. Another step for mankind. Image quality from the A7R is awesome. T* coating on the Zeiss 55 lens, and you have a set up designed for the most discerning professional photographers. Top notch for all except wildlife and sport. Rumour of an A77 replacement at the end of the month. A 36mp A99 replacement,soon for wildlife and sport would complete the range,putting Sony shooters in Heaven. Another step for mankind. Image quality from the A7R is awesome. T* coating on the Zeiss 55 lens, and you have a set up designed for the most discerning professional photographers. Top notch for all except wildlife and sport. Rumour of an A77 replacement at the end of the month. A 36mp A99 replacement,soon for wildlife and sport would complete the range,putting Sony shooters in Heaven. If and it is a big IF Sony pull their finger out and bring out a range of small high quality primes for the A7 series, they may be onto a winner (Almost). The need to look at the classic small prime masters - aka Pentax - who have produced high performing delightful fast glass ever since the M42 mount Takumars of the 60's. Oh and I must not forget the AF capable Limiteds that are extremely well regarded. If they don't, then it will be a big misfire on Sony's part. Sony are not exactly renowned in bringing out several lenses for a mount. Also, like John said, large zooms will not only look silly, but ruin the handling on such a small body. Now the almost bit. As I said on the A7 review. The short battery life and lack of a separate charger are real problems, especially as a small camera like this would be used all day every day. Very close, but they need to support it quickly. If and it is a big IF Sony pull their finger out and bring out a range of small high quality primes for the A7 series, they may be onto a winner (Almost). The need to look at the classic small prime masters - aka Pentax - who have produced high performing delightful fast glass ever since the M42 mount Takumars of the 60's. Oh and I must not forget the AF capable Limiteds that are extremely well regarded. If they don't, then it will be a big misfire on Sony's part. Sony are not exactly renowned in bringing out several lenses for a mount. Also, like John said, large zooms will not only look silly, but ruin the handling on such a small body. As I said on the A7 review. The short battery life and lack of a separate charger are real problems, especially as a small camera like this would be used all day every day. Very close, but they need to support it quickly. Good to see Sony continuing to develop its range and the plan to merge Alpha and NEX ranges into one makes sense long-term. Excellent price too. However, your cons show Sony still has some way to go IMHO to matching Canon and Nikon. The sluggish performance and short battery life mean that this is not yet THE camera for the pro who is on the move. Studio photographers will love it though, as will landscape photographers. Sony still has some way to go IMHO to matching Canon and Nikon. The sluggish performance and short battery life mean that this is not yet THE camera for the pro who is on the move. Studio photographers will love it though, as will landscape photographers. [/quote] How long have you used the A7R for celtxian? Sony still has some way to go IMHO to matching Canon and Nikon. The sluggish performance and short battery life mean that this is not yet THE camera for the pro who is on the move. Studio photographers will love it though, as will landscape photographers. How long have you used the A7R for celtxian? Haven't used one (I should be so lucky), just going off the various reviews and making my own humble assessment. All of them seem to agree that Sony isn't quite there yet as regards speed of focussing. Also, I know from my days as a freelance photographer (Canon user) one of the biggest annoyances when out on a shoot was battery life so the longer the better and I would say that 270 is below par for a camera costing £1,700 just for the body. What's your view - do you own one and if so what do you use it for and how do you rate it? Haven't used one (I should be so lucky), just going off the various reviews and making my own humble assessment. All of them seem to agree that Sony isn't quite there yet as regards speed of focussing. Also, I know from my days as a freelance photographer (Canon user) one of the biggest annoyances when out on a shoot was battery life so the longer the better and I would say that 270 is below par for a camera costing £1,700 just for the body. What's your view - do you own one and if so what do you use it for and how do you rate it? I have had a A7r for over a month and it is easily my go to body for everything except sports and fast moving wildlife like birds. Having great fun with a cabinet full of older lenses for Leica, Nikon, Canon and the old Olympus OM glass. Several of these give stunning results that my 5DIII and D600 cannot match. Just want to correct the statement that there is no IS. The 28-70 FE has OSS, and the 24-70 FE Zeiss being released in early February also is OSS. The 70-200 FE Sony also has OSS available in Spring. The A7r is not for everyone, but for many like me it is unbeatable in the 35mm FF format. If you travel by commercial air and wish to carry a flexible, but light kit, this system is unbeatable unless you are satisfied with 4/3ds. [quote]I have had a A7r for over a month :D[/quote] Love a comment from someone who owns the little beauty. The A7R is selling like hot cakes. Discard Sports and wildlife, and the Image Quality outperforms the A99. Sony improved their 36mp sensor used in the Nikon D800E before putting it in the A7R. If the A99 replacement has 36MP and removal of the optical low-pass filter, It will set the standard. For many years I had a feeling ( although not certain, as they work in a different way. ) that in- lens I.S. worked better than the Sony in-camera Steady shot. Canon I.S. lenses work well on the A7R. For wildlife My A99 is used mainly on a tripod, so the steady shot is often switched off. Always on with my RX100 MK2 pocket camera, and works a dream. A purchased a EVF for the RX because I cannot live without an electronic viewfinder,like the one used in the A7R..
Love a comment from someone who owns the little beauty. The A7R is selling like hot cakes. Discard Sports and wildlife, and the Image Quality outperforms the A99. 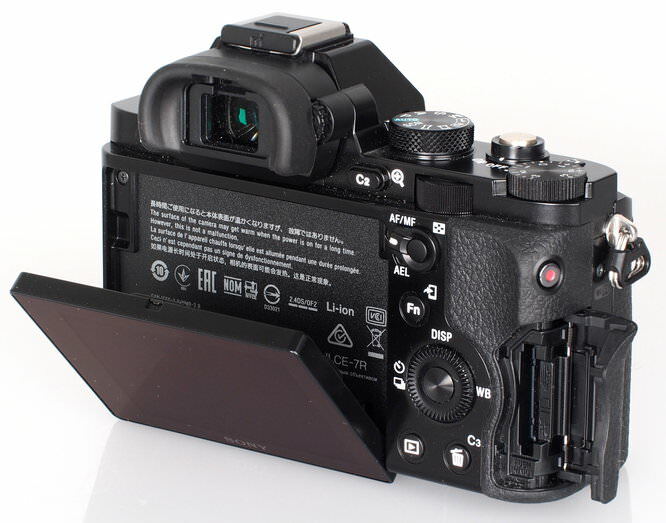 Sony improved their 36mp sensor used in the Nikon D800E before putting it in the A7R. If the A99 replacement has 36MP and removal of the optical low-pass filter, It will set the standard. For many years I had a feeling ( although not certain, as they work in a different way. ) that in- lens I.S. worked better than the Sony in-camera Steady shot. Canon I.S. lenses work well on the A7R. For wildlife My A99 is used mainly on a tripod, so the steady shot is often switched off. Always on with my RX100 MK2 pocket camera, and works a dream. A purchased a EVF for the RX because I cannot live without an electronic viewfinder,like the one used in the A7R.. I wonder where you get your info from Alan? How may units are Sony selling [and are people getting their fingers burnt by them]? I'd also like to know where this nugget you have that Sony have improved on the sensor in the D800? In the past Sony have not been able to match the image quality Nikon has been able to eke out of the same sensors. I'm not saying you're wrong - I don't know. It's just that previous track record is not encouraging. Personally I like the fact that Sony do appear to be innovating as much if not more than any other camera manufacturer out there - it's just I don't think their real world implementations are as impressive as they might be. As for people making comments owning not owning cameras - here's how it works: People look at features/specs/reviews [and if possible handle a camera] and based upon their budget, decide if it's for them or not. If they decide not, they will have reasons for that decision and may well decide to share that reasoning. If someone actually decides to make a purchase they are then in the position of justifying that decision, not least to themselves, or feel pretty foolish for having made an unwise investment. If all comments were made by owners they would doubtlessly be overwhelmingly positive. Neither of these scenarios automatically proves anything. I can only say this camera is not for me. But I'm also glad it will find favour with some potential buyers because the competition and innovation that Sony represents is good for the camera consumer as a whole. I wonder where you get your info from Alan? How may units are Sony selling [and are people getting their fingers burnt by them]? I'd also like to know where this nugget you have that Sony have improved on the sensor in the D800? In the past Sony have not been able to match the image quality Nikon has been able to eke out of the same sensors. I'm not saying you're wrong - I don't know. It's just that previous track record is not encouraging. Personally I like the fact that Sony do appear to be innovating as much if not more than any other camera manufacturer out there - it's just I don't think their real world implementations are as impressive as they might be. People look at features/specs/reviews [and if possible handle a camera] and based upon their budget, decide if it's for them or not. If they decide not, they will have reasons for that decision and may well decide to share that reasoning. If someone actually decides to make a purchase they are then in the position of justifying that decision, not least to themselves, or feel pretty foolish for having made an unwise investment. If all comments were made by owners they would doubtlessly be overwhelmingly positive. Neither of these scenarios automatically proves anything. I can only say this camera is not for me. But I'm also glad it will find favour with some potential buyers because the competition and innovation that Sony represents is good for the camera consumer as a whole. [quote]I wonder where you get your info from: Strait from the horses mouth. How may units are Sony selling Sony could not keep up with supply originally, We had the insight of grabbing stock locally and the A7Rs were selling like hot cakes. I'd also like to know where this nugget you have that Sony have improved on the sensor in the D800? Sony who have 50% of the sensor market, had an agreement not to use the 36MP supplied to Nikon in Sony products for six months. During this time improvements were made. As for people making comments owning not owning cameras: Because I specialise in kingfisher photography, I have had the pleasure of trailing pre-production Sony cameras, suitable for wild life. 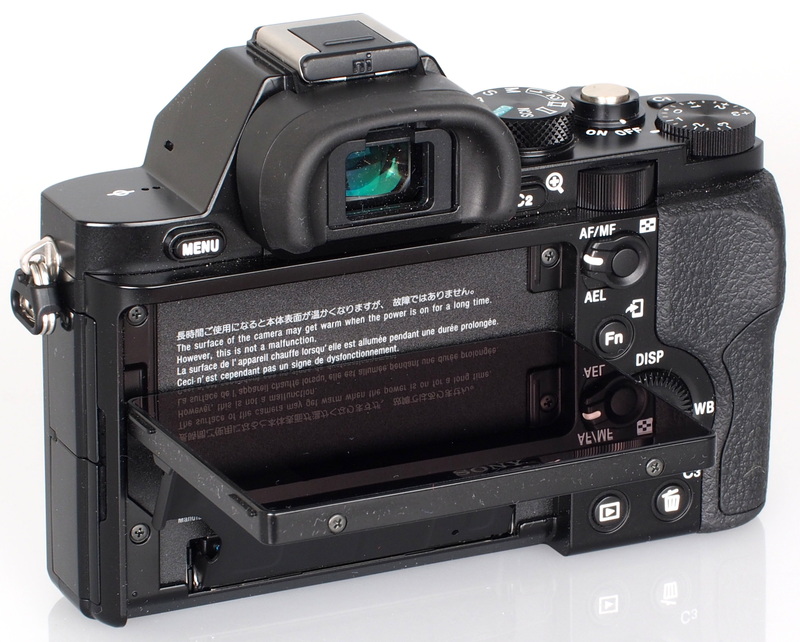 The A7R is not manufactured for that purpose, but I have access to Sony products,such as the A7R. I believe you have better knowledge, by using a camera, than going by mostly inaccurate reviews, by third parties. I hope Chris,this answers some of your' doubts in my post? Best regards Alan Sony advocate photographer. Strait from the horses mouth. Sony could not keep up with supply originally, We had the insight of grabbing stock locally and the A7Rs were selling like hot cakes. I'd also like to know where this nugget you have that Sony have improved on the sensor in the D800? Sony who have 50% of the sensor market, had an agreement not to use the 36MP supplied to Nikon in Sony products for six months. During this time improvements were made. Because I specialise in kingfisher photography, I have had the pleasure of trailing pre-production Sony cameras, suitable for wild life. The A7R is not manufactured for that purpose, but I have access to Sony products,such as the A7R. I believe you have better knowledge, by using a camera, than going by mostly inaccurate reviews, by third parties. I hope Chris,this answers some of your' doubts in my post? Best regards Alan Sony advocate photographer. I'm not questioning your integrity Alan, nor your ability to capture some stunning images with Sony equipment. But just what is the status of a 'Sony Advocate Photographer"? You have to admit it doesn't suggest impartiality. In terms of how well the A7s are selling all you've told us is that supply has been constrained - which is far from unusual with any new product - particularly ones at the vanguard of new technology. How about those "mostly inaccurate reviews"? Does the one above qualify - or DPReviews previews? Both these are pretty positive about the camera overall and I'm not discounting that positivity. As I said, there's a lot to like about Sony's willingness to pioneer new approaches - it would be nice to see the rest of the industry being as bold. It's interesting you seem to imply this is not the camera for you - I haven't trialled one, but the spec sheet alone [including lenses available/adaptable] tells me the same is true for me. I would of course concede if I had the luxury of trialling one, it may modify my opinion, but battery life/no charger, sluggish focus and overall size of system make me seriously doubt that. Would only going to the trouble of owning or hiring one make that a valid opinion? I'm not questioning your integrity Alan, nor your ability to capture some stunning images with Sony equipment. But just what is the status of a 'Sony Advocate Photographer"? You have to admit it doesn't suggest impartiality. In terms of how well the A7s are selling all you've told us is that supply has been constrained - which is far from unusual with any new product - particularly ones at the vanguard of new technology. How about those "mostly inaccurate reviews"? Does the one above qualify - or DPReviews previews? Both these are pretty positive about the camera overall and I'm not discounting that positivity. As I said, there's a lot to like about Sony's willingness to pioneer new approaches - it would be nice to see the rest of the industry being as bold. It's interesting you seem to imply this is not the camera for you - I haven't trialled one, but the spec sheet alone [including lenses available/adaptable] tells me the same is true for me. I would of course concede if I had the luxury of trialling one, it may modify my opinion, but battery life/no charger, sluggish focus and overall size of system make me seriously doubt that. Would only going to the trouble of owning or hiring one make that a valid opinion? Of course I'm not impartial. no more than you are as a Canon user. I moved from Minolta to Nikon for 5 years and had the courage to then change to Sony, When in my opinion,Sony had made greater advances in technology. I have used Canon 1DX, 1D4 and 5D3 also. I am one of the few who will change if I believe my photography will be improved. I sell cameras and know how reluctant people are to change. It is financially hard when you have £1,000s spent on lenses. The A7R is not the camera for me as Sony say it is not for wildlife and sport. ( some are successful using it this way ) I wait for the A99 replacement. Go to Original size: My life is photography, and many images taken with the A7R, have a quality that just blow me away. My honest opinion is no camera under £5,000 has better image quality. I'm sure many may disagree, but that is what makes photography interesting. I do see things my way, For example: Battery life is not an issue for me. I have taken 2,000 photos on a two day event and had enough batteries in my bag to suffice. After reliability my aim is for good detail and image quality. Hi Alan We're not so dissimilar. You have me down as a Canon shooter and I do still retain my 5dII and a few L lenses. I had moved to Canon a bit over three years ago from Nikon [a move made easier by the fact all my kit was wiped out by theft, including lenses]. At the time I felt the 5dII was the best 35mm shooter within my budget. I still use the Canon, but not very often - I have moved principally to micro 4/3 and now have an EM1 with the 12-40 Pro and several prime/zoom Olympus/Panasonic lenses. For me, portability is important and although I wouldn't say the Olympus is better in terms of image quality than the Canon, it isn't so significantly worse to practically make any difference the vast majority of the time. Of the photographers I know, I probably have least allegiance to any brand. You are of course right that ownership of a few grands worth of glass does compel some degree of loyalty to a manufacturer - but for me that's an entirely practical, not emotional issue. I've little doubt the Sony A7[s] are capable of stunning quality, but the same is true of many cameras from many marques. Given that, I'm personally attracted to portability and I'm afraid short of the excellent Sony RX1 [which I can't afford as a necessarily secondary/supplemental shooter] 35mm as a system looks just too bulky for my tastes. I'm personally a little annoyed by the paucity of battery life from my EM1 [and I have the grip, so that's x2], so can't help feeling a camera with similar limits and no external charger for additional cells is flawed. The biggest kicker for me however is the fact that the bodies are compact is rather defeated by the need for large lenses. So far as I'm concerned that rather makes me question the whole concept of shrinking the body size. It could be that somewhere down the line I may think about getting rid of my Canon kit entirely, but still have the occasional need to limit DoF at short focal lengths [more difficult with the m4/3 format]. Perhaps in that future circumstance there may be a Sony mirrorless 35mm with decent battery life and a compact short zoom that will answer that need. I'm sure Sony will come up with a camera design at some point which will be a classic without serious weaknesses in one area or another [perhaps the RX1 is close to that] - they do seem to be trying harder than most other brands and complacency will kill companies if it becomes a habit. We're not so dissimilar. You have me down as a Canon shooter and I do still retain my 5dII and a few L lenses. I had moved to Canon a bit over three years ago from Nikon [a move made easier by the fact all my kit was wiped out by theft, including lenses]. At the time I felt the 5dII was the best 35mm shooter within my budget. I still use the Canon, but not very often - I have moved principally to micro 4/3 and now have an EM1 with the 12-40 Pro and several prime/zoom Olympus/Panasonic lenses. For me, portability is important and although I wouldn't say the Olympus is better in terms of image quality than the Canon, it isn't so significantly worse to practically make any difference the vast majority of the time. Of the photographers I know, I probably have least allegiance to any brand. You are of course right that ownership of a few grands worth of glass does compel some degree of loyalty to a manufacturer - but for me that's an entirely practical, not emotional issue. I've little doubt the Sony A7[s] are capable of stunning quality, but the same is true of many cameras from many marques. Given that, I'm personally attracted to portability and I'm afraid short of the excellent Sony RX1 [which I can't afford as a necessarily secondary/supplemental shooter] 35mm as a system looks just too bulky for my tastes. I'm personally a little annoyed by the paucity of battery life from my EM1 [and I have the grip, so that's x2], so can't help feeling a camera with similar limits and no external charger for additional cells is flawed. The biggest kicker for me however is the fact that the bodies are compact is rather defeated by the need for large lenses. So far as I'm concerned that rather makes me question the whole concept of shrinking the body size. It could be that somewhere down the line I may think about getting rid of my Canon kit entirely, but still have the occasional need to limit DoF at short focal lengths [more difficult with the m4/3 format]. Perhaps in that future circumstance there may be a Sony mirrorless 35mm with decent battery life and a compact short zoom that will answer that need. I'm sure Sony will come up with a camera design at some point which will be a classic without serious weaknesses in one area or another [perhaps the RX1 is close to that] - they do seem to be trying harder than most other brands and complacency will kill companies if it becomes a habit. It is very nice camera, but very fragile. I had it rusty all over after a trip to Madagascar. It never being exposed to any rein and I did not dive with this. Just moist and hot climate. Sony voided my warranty and charged $700 for replacement. I can not talk with anybody, who can distinguish lens from ice creme cone, and they still repeated that it is rusty. It was. So if you want to shoot nature - look for something else. It is very nice camera, but very fragile. I had it rusty all over after a trip to Madagascar. It never being exposed to any rein and I did not dive with this. Just moist and hot climate. Sony voided my warranty and charged $700 for replacement. I can not talk with anybody, who can distinguish lens from ice creme cone, and they still repeated that it is rusty. It was. So if you want to shoot nature - look for something else.